This vote comes after a township investigation of claims against the district of safety and fiscal mismanagement. The Voorhees Township Committee approved an ordinance on first reading to dissolve the Voorhees Fire District No. 3 at a public hearing Tuesday night. This vote comes after several months of the township investigating claims of safety and fiscal mismanagement against the district, including late pension payments, failed or obsolete equipment, unbudgeted overtime, a downgrade in credit rating and owing more than $100,000 in bill payments. In response to those claims, the township began an investigation and evaluation of the district and by hiring fire and safety expert Harry Carter. In addition, the district’s union passed a resolution of “Vote of No-Confidence” against the district’s board of commissioners over the summer. In the fall, the township committee also circulated a petition to residents to gage support for the dissolution of the fire district. The application to dissolve and consolidate the fire district under the municipal government would next go before the local finance board under the state department of community affairs. If approved, committee would then hold a final vote to dissolve the district at a later meeting. Union Chief Keith Kemery, International Association of Firefighters Local №3249 president, said the mismanagement has been going on for years. He stressed this is not a labor or union issue, but a public safety issue for the residents of Voorhees and the emergency responders. If the district were dissolved, Chief of Police Lou Bordi would be charged with leading the transition. Bordi presented a consolidation transition plan at the meeting. Tom Hanney, chairman of the Board of Commissioners that manages the district, said Carter’s report is outdated because Carter based it on 2015 and previous years. 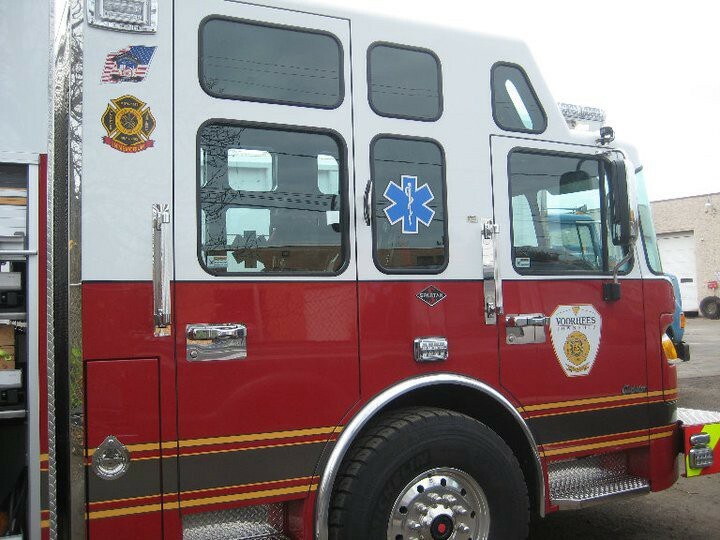 According to Hanney, interviews with members of the fire district and any fiscal mismanagement happened in years prior, and improvements have been made since. Some of the improvements Hanney mentioned include the 2016 budget ending with a surplus of $200,000, with seven new volunteers on staff and four new firefighters hired, three of whom were previously volunteers. “I see no other way but to vote yes to this,” he stated. After the meeting, Hanney once again noted his belief that the township committee is making its decision to dissolve the fire district due to issues in the past and are not paying attention to the improvements they’ve made since the end of 2015. Hanney said the budget is balanced, and there are long-term plans moving forward. “Right now, we have those things in place, so the actions of the township to take over the board are really not very well justified in terms of what the present situation is and is completely validated upon the premise on what was,” he said. Kemery was pleased with how the meeting went. “Public safety was served this evening, and I look forward to it following through and us getting the service where it needs to be,” he said. The only committee member who did not vote yes for the dissolution was Mike Friedman, who abstained from voting. He said he did not receive the full reports from the auditor and chief of police until the day before the meeting.